For 2018’s Giving Tuesday, we’re asking you to join our #Give10 campaign, to help us raise $1,500 and to gain 150 new supporters. We’re asking you to make either a one-time donation of $10 or to sign up to give a recurring monthly contribution of $10 to make a sustaining impact. No matter how much you donate, it will help make the difference between a family staying in poverty or getting out. 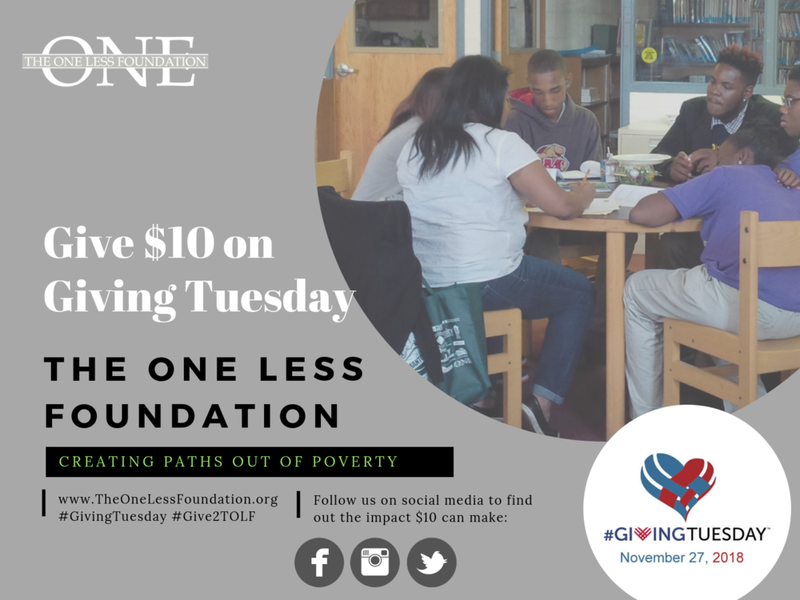 Donate on #GivingTuesday and help create a path out of poverty.